The client had this topaz in a ring setting that she wanted to repurpose. She loved nature and a float setting. 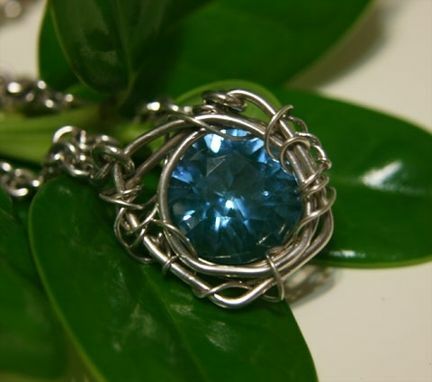 We came up with this design for a pendant using silver wire.